When I first came to BCAP two and half years ago, there was a staff of 11 people in four locations, 23 active projects happening in 11 states and a $1.5 million budget. Trying to absorb the details of everything that this team was managing, I was impressed, excited, overwhelmed, and certain I would never catch up to these folks. From modest beginnings in 1994 until now, the BCAP team has grown in expertise and effectiveness in promoting the adoption and administration of model energy codes. BCAP has long been known for its vision, its leadership and the results it has achieved in partnership with the other code advocacy organizations. I want to tell you about some of the amazing people who have been responsible for the well-deserved reputation of this little program. Prior to my tenure, BCAP was led by the former Executive Director, Aleisha Khan, now a Principal of Global Climate Services at ICF International. One member of her team, Kym Carey, led the development of our powerful online communications hub, OCEAN, and has moved on to program management duties for the U.S. Department of Energy. Both of these women remain friends and advocates of BCAP, for which we are all deeply grateful. The team that I joined in 2011 included a number of talented, hard-working people who have since taken their considerable skills in pursuit of new adventures, but I am certain that their work advancing energy efficiency through building codes will provide value to them and their colleagues throughout their careers. Missed but not forgotten are Paul Karrer, Matt Kerns, Mike DeWein, Kelly Guhanick, John Miller, Eric Plunkett, Mark Lessans, Brian Sernulka, AJ Price and Tom Woodruff. In addition to having been dedicated BCAP-ers, all of these folks (and the current BCAP staff) were committed employees of the Alliance to Save Energy. As a project of the Alliance, BCAP has benefited from its relationship to the extraordinary advocacy institution that is the Alliance to Save Energy. Now in our 20th year of partnership, the leadership of both the Alliance and BCAP find that the time is right for both parties to move in new strategic directions….separately, but not apart. Beginning today, BCAP is an independent organization, focused on the same mission we’ve always had: reducing energy consumption in buildings through the effective deployment of energy codes. BCAP owes much of its success to the dedication of Alliance leadership and staff, and we intend to continue our close relationship with the Alliance, both as partners on future work, and as tenants in our current office space. Meanwhile, BCAP will benefit from the fiscal sponsorship and non-profit status of a new partner, the Trust for Conservation Innovation, located in San Francisco, CA. The future for BCAP has never looked brighter. 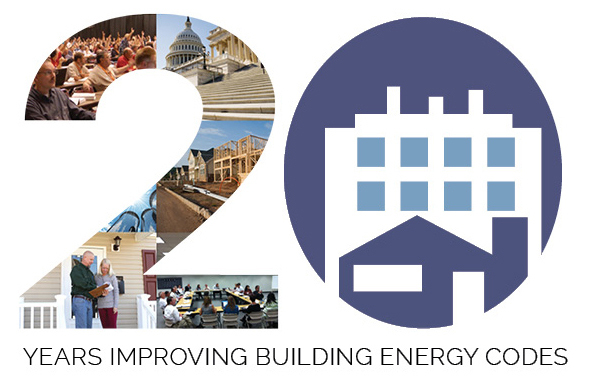 Energy code adoption is at an all-time high, and everyone working in this field is focusing on the tools and resources that will be needed to increase actual compliance with the codes in order to capture the promised energy savings. BCAP has been and will continue to be a leader in the development of innovative approaches to code compliance, and looks forward to broadening our network of partnerships to more effectively support state and municipal jurisdictions in their commitment to using energy codes as a way to protect the health and safety of their communities and of the planet. As a last note, I want to recognize, thank and applaud the enthusiastic and bold people who make up the current staff of BCAP, and who will be the foundation of BCAP’s future success. From me and from the many constituents we serve, huge thanks go to Maria Ellingson, Seul Rhee, Dennis Hidalgo, and the irreplaceable Cosimina Panetti. I was right in thinking I would never catch up to these folks; there is too much energy and talent here for any mere mortal to try to wrap her arms around. But as long as we are moving forward, helping to promote good public policy, bringing people together to create an environment of better performing buildings, our work will continue to be productive, rewarding, and very exciting.